Makara Model School offers a stunning environment purpose built for learning and having fun. 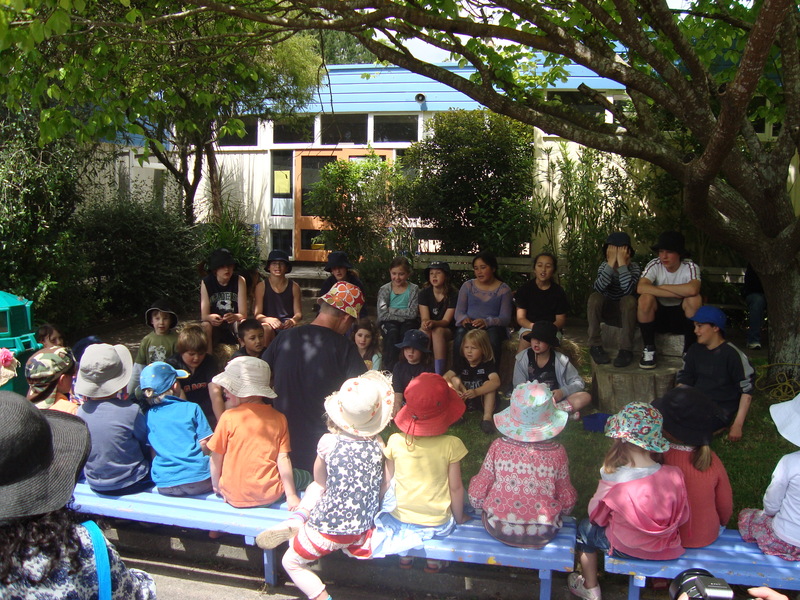 As a Model school we have a special relationship with the teachers college in Karori. Student teachers learn with us the best model of teaching practice and we are sought after as a practicum experience. We welcome visits from current parents and prospective parents. Our enrolment process includes as many visits by prospective students as they feel are needed to settle in. Our ERO reports have always been positive and we welcome your consideration. Makara Model School will be held in high regard as a high quality, progressive learning environment for children, and where students are enthused to be life long learners. 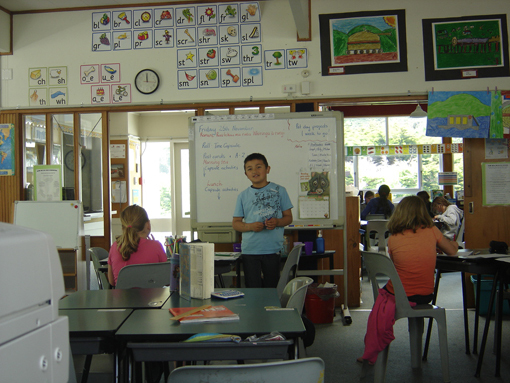 Makara Model school is located11 kilometres from Wellington city and 6 kilometres from Makara Beach. Although having an idyllic rural location, Karori Mall is an 8 minute drive away. We have a growing reputation and students of all ages are starting at our school. We encourage local people to enrol their children and we are happy for others to choose our school if they feel it is right for their child. We offer a unique and quality educational experience for children. We value our strong sense of family in the school, where older students are encouraged to take responsibility for younger ones. ‘Old students’ often return as and where they can to catchup with previous classmates and teachers. There is a high level of interest and involvement by parents and whanau in their children’s education and in the operation of the school. We benefit from a great deal of very positive input. The partnership between home and school is also very strong. There is also a strong sense of history in the school, and enormous community support. We purposely include the community in the cycle of learning at our school. We also utilise the skills and knowledge of local people and ensure everyone coming into the school is valued and respected. Enrolment packs are available for Makara Model School to assist you in enrolling your children. We are happy to receive requests for enrolment forms in person, or by phone or email. Please contact us where we can be of assistance. Enrolment forms need to be completed before your child starts school. We are also required to see their immunisation certificate and birth certificate. Prospective parents and their children are always welcome to come to look around our exciting school. Our current students will often be involved in taking you for a tour, as well as the teachers. If you are interested in finding out more about Makara Model School, or would like a meeting please contact us. School visits help to introduce your child to their class and teachers before starting school. This assists in a smooth transition to school. The number of visits and their frequency is dependent on you and your child. Starting school, or starting a new school, is a major milestone for children and their parents. Parents can elect to either stay in the classroom during school visits, or leave their child to enjoy their new classmates and environs for a short time while the parents enjoy a drink in the staffroom. If you are visiting at the beginning of the school day, try to come early so that there is playtime with the other students before school begins. The Education Review Office (ERO) regularly visits our school on a 3 yearly cycle. Our ERO reports are always positive and we welcome your investigation. Our most recent review is available here (drop down menu under Learning and Curriculum). We are a SunSmart School – this means SunSmart hats are to be worn by all students, and both staff and students are encouraged to use sunscreen, seek shade and cover up as appropriate when outside during terms 1 and 4. This is when UV radiation is most intense. Our school’s SunSmart policy passes the Cancer Society’s criteria for SunSmart Schools accreditation, and means we are teaching our students important sun safety behaviours and knowledge.